This feature was added in Octopus 3.2.4. If a package with the same version already exists, the server will usually reject it with a 400 error. 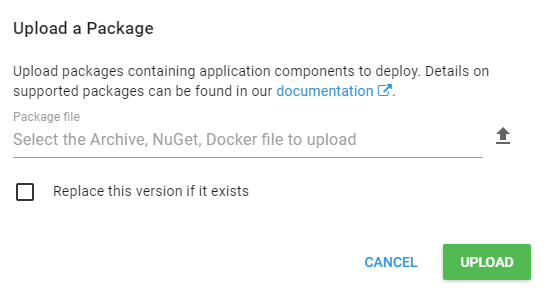 This is because each time you change an application, you should produce a new version of each NuGet package. Usually, customers set up their CI builds to automatically increment the package version number (e.g., 1.1.1, 1.1.2, 1.1.3, and so on).